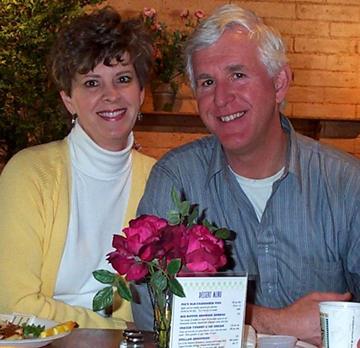 In 1998 we moved back to Palomar Mountain thinking I had retired. My twenty year career in sales and marketing had taken me all over North America as a seminar speaker and consultant. This is the second time we have lived on Palomar. We owned our home in the 1970’s, sold it a few years later, and bought it back in 1998. When the place next door with more land became available, we had to have it, and are working to develop a ranch to share with family and friends. Back on the Mountain, I started the Palomar Mountain e-News as a free service to the community. The broadcast grew to span the globe with property owners living all around the world. A couple years later, I sent a message out about a cabin that had been for sale for a long time. When it sold in a few days, and several other sales were quickly connected with a click of a mouse, I realized I had quite a niche with my data base. After encouragement from neighbors and friends, I began a new career in Real Estate. The business has grown to serve throughout San Diego County. When you know of someone interested in buying or selling, your referrals are much appreciated. We have two sons, a daughter-in-law and now blessed with four grandchildren who also enjoy visits to their favorite mountain a mile nearer heaven! A couple horses and a handful of mousers also call this place ‘home’. The Palomar Mountain News broadcast has been a fun hobby. It has been a pleasure for me to be the first to know the latest happenings on Palomar Mountain! Have a message to share with right at 2000 subscribers? Send it my way. If you don’t see it posted in a day or so, please call as there are occasionally some challenges with email. Glad to keep the Mountain News headed your way! Bonnie, my husband Renaldo/Ray Bastien (ex PacBell lineman) lived on the mountain for a short time. In 1982 he helped out with the barbeque put on by the local firemen. He was known as the “Mexican Grizzly Adams” of Palomar Mountain. He was a good friend of Ralph & Bev Kulp who lived there who be-friended my wonderful husband when he needed it. One of San Diego’s newspapers took a picture of him while helping with the barbeque. Have you any information on this? Sadly we lost the newspaper article along with everything else in the Cedar fire here in Julian. Thank you. We have maybe two inches of snow but it is warm so the snow turns to water when you step on it. Real slushy kinda tough for kids. Roads are clear. It will all be out of the trees in a few minutes as it is warming up fast. Wonderful to see snow. Here in Manhattan we are having 72 degree weather! Bonnie, I’ve only just discovered all the pictures of Meriah’s wedding you sent me via facebook, but I’m not able to get the pictures from facebook. Any possibility of sending them to me again via e-mail? What a nice web-site re: one of our favorite places. Thanks Bonnie, Ray and Sunny Unseitig. Bonnie, I am the 87 year old grandmother of the Stults family. They have had a cabin on the mountain for years. Palomar is a beautiful, scenic area of the County. I think that your website is a great idea. We love Steve and Marcia – she has the prettiest penmanship! Hope we can meet you some day soon! Maybe sometime when we meet them at the beach – very fun! Enjoy the Mountain News!